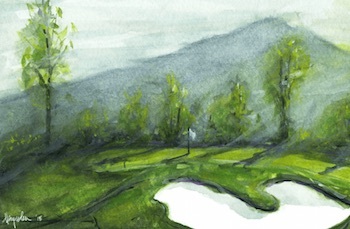 This post is from Alexa Hammer in her Hammer & The Links section of the site! 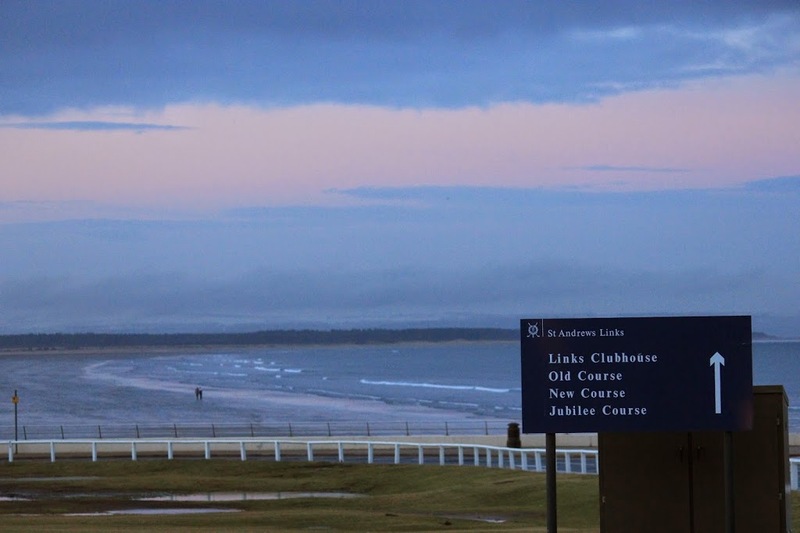 St Andrews, although known as the Home of Golf, has a lot more to offer than just its iconic links courses. This medieval, seaside town happily accommodates those who are not interested in the game. 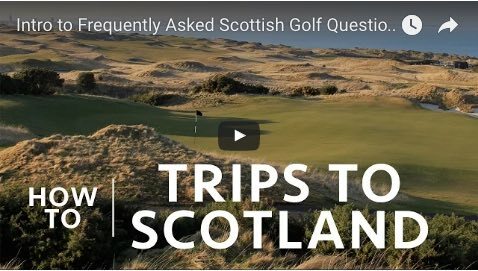 Some of the lesser-known activities in the town include sightseeing, afternoon tea, spa days, coastal walks, and once you’ve exhausted it all, even a day trip to Edinburgh. St Andrews is a great town to walk around and explore. There is plenty you can visit, including the St Andrews Cathedral, St Andrews Castle ruins, pier, botanic gardens and general historic architecture throughout the town. 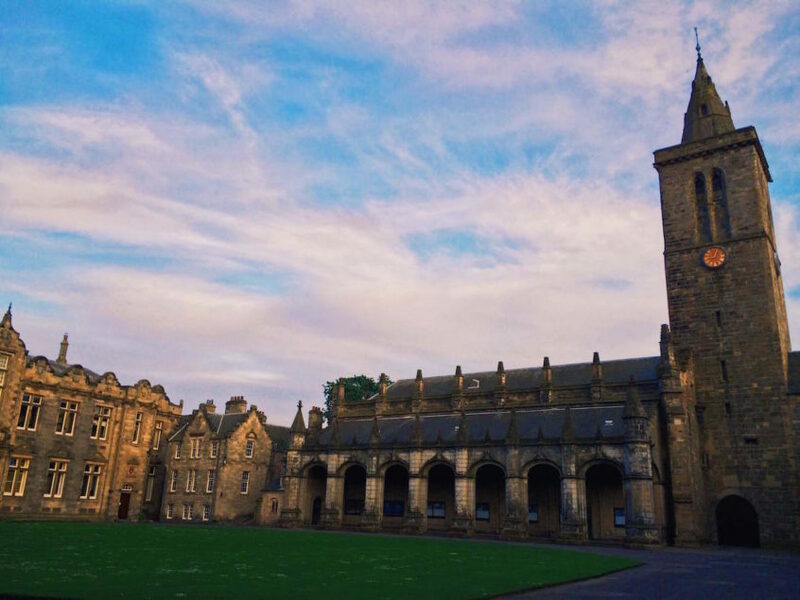 Even the university buildings are worth a visit, especially St Salvator’s Quad and St Mary’s College. Yes, that is me on the left after the foam fight during my first year! The annual foam fight is a 600 year-old tradition that is the final event of “Raisin Weekend,” which is rite of passage for all incoming freshman. Everything is within walking distance in St Andrews. You will usually spend more time trying to find an available parking spot than walking between each site. If you want to be really adventurous you can take on the Fife Coastal Path! The total path length is 117 miles, but you can complete the small St Andrews section of it by following the signs you’ll notice in town. If you have just a few hours, the recommended route would be from St Andrews just up to the near Fairmont Hotel and back. This would take approximately one hour and forty-five minutes and allow you a great view looking back on the town once you reach the Fairmont. If you’re a keen hiker you can walk all the way to the East Neuk of Fife villages (Crail, Anstruther, etc.) and get the bus back to town. 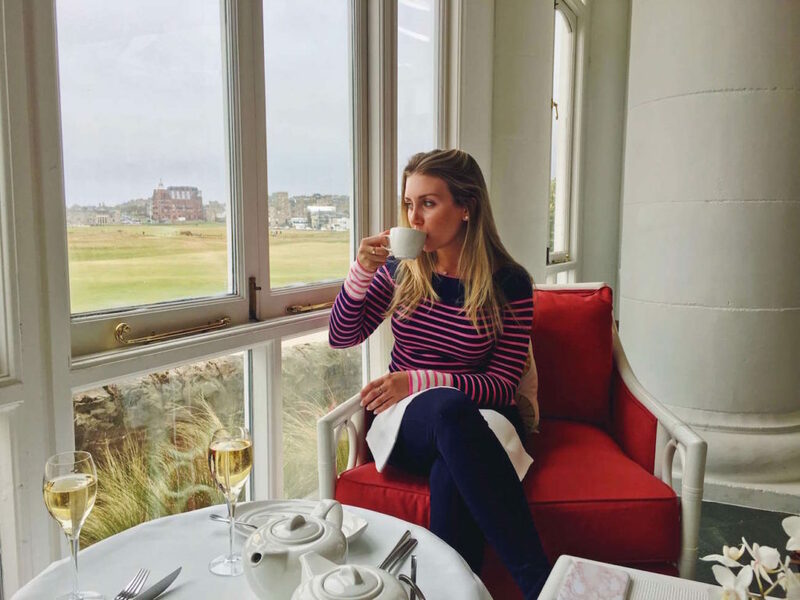 I have to admit afternoon tea is one of my favorite non-golf leisure activities in St Andrews. 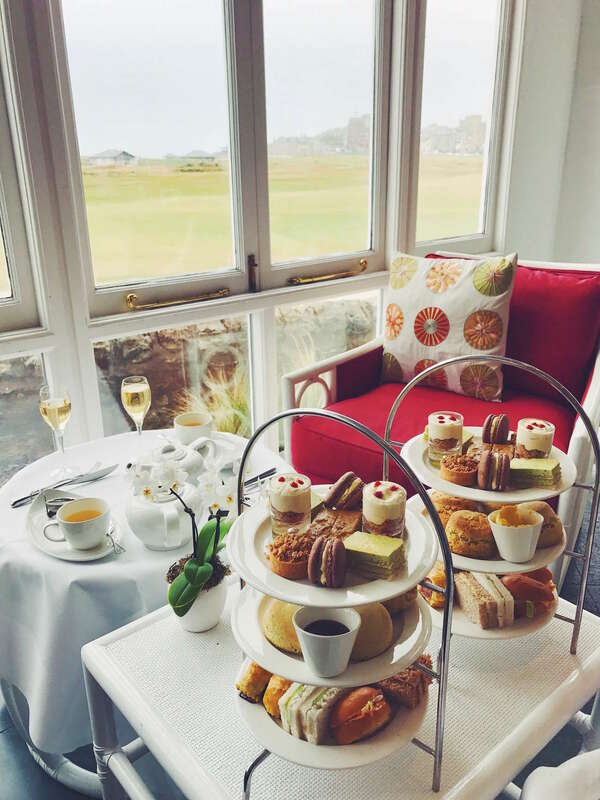 The Old Course Hotel is the spot for afternoon tea as you are spoiled with views of the Old Course and groups playing the 17th, the Road Hole. The tea, sandwiches and desserts are delicious as well. And for those special occasions you can add champagne to your afternoon tea experience! The Kohler Waters Spa at the Old Course Hotel is a great place to hide from the cold Scottish wind and rain and relax on those not-so-nice days. 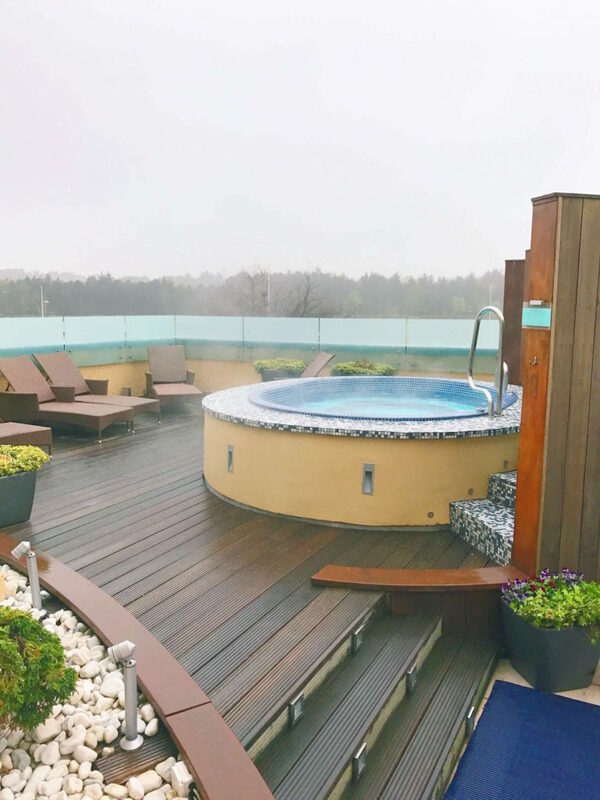 With a gym, swimming pool, rooftop spa garden, and range of steam rooms and saunas is it easy to spend the entire day here. 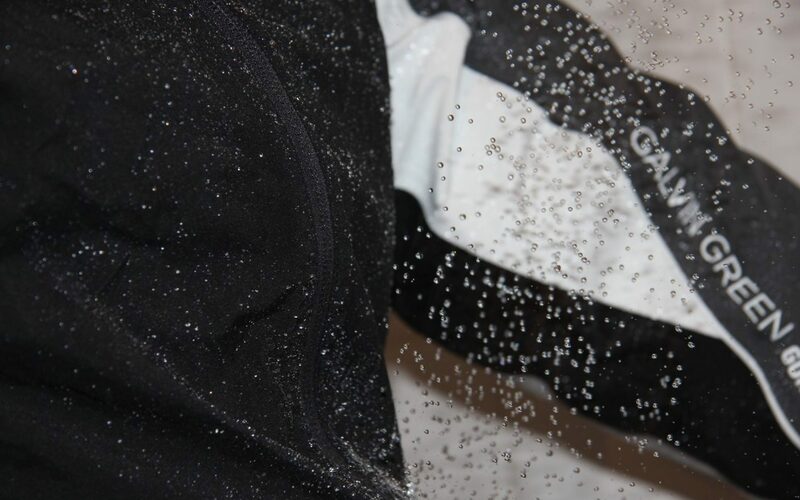 If you are looking to book a treatment, I definitely suggest a Kohler water treatment, which are massages that include bathing and hydrotherapy treatments. With flat sand and stunning views of the town, West Sands is an easy and beautiful beach walk. 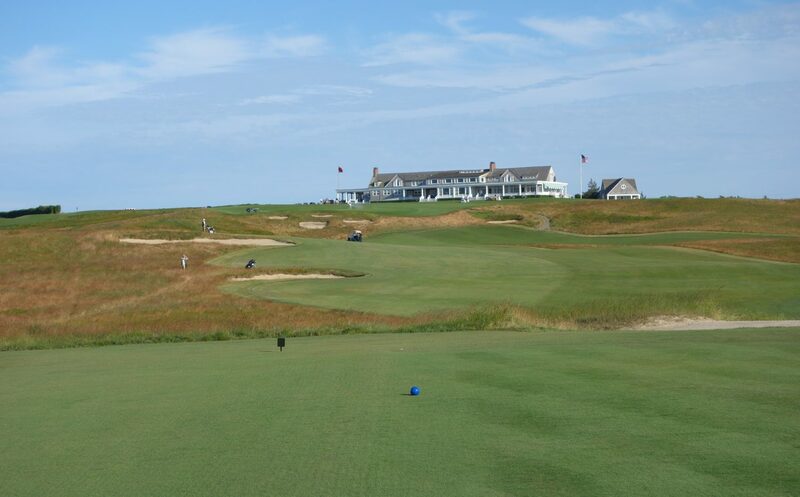 You can walk all the way down the beach, just over a mile, until you reach a bend where you are able to find a path just over the grass hills, which will take you alongside the Jubilee Course back into town. 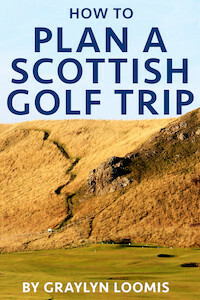 This route gives you the best of scenery of the coast as well as the golf courses. The main question most people express about their upcoming visit to Scotland is the quality of food. Most think they will have to live off fish and chips for the duration of their trip. 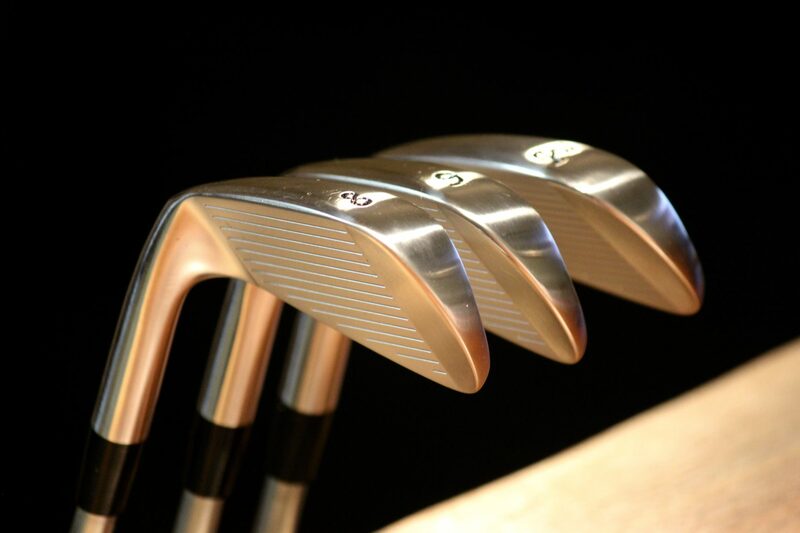 But, they’re pleasantly surprised when I let them know St Andrews has some of the best restaurants in Scotland! 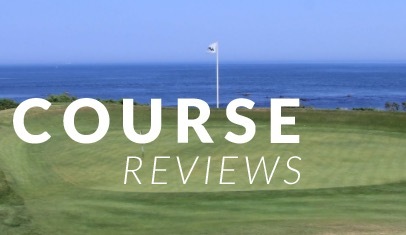 A few of my favorites that I usually recommend are The Adamson, Forgan’s, Little Italy, Rocca Resturant in the Rusacks Hotel, and Sands Grille at the Old Course Hotel. 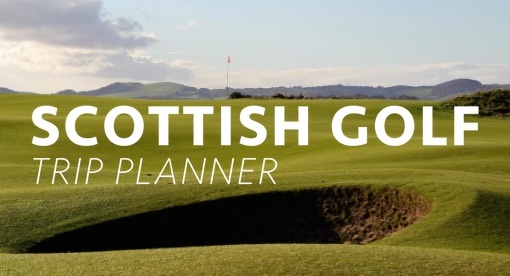 St Andrews has so much to offer whether you play golf or not (these are just a few ideas!) During your next visit hopefully you are able to add a few of these ideas to your itinerary and to allow yourself to take advantage of the diversity of this one-of-a-kind town!